There’s nothing like a good beach. With the waves gently caressing the shore, it’s the perfect place to unwind from daily life and let the sun warm your skin. Go for a stroll and explore the rock pools; laze on a lounger and top up your tan; or hit a beach party and bring out your best dance moves. 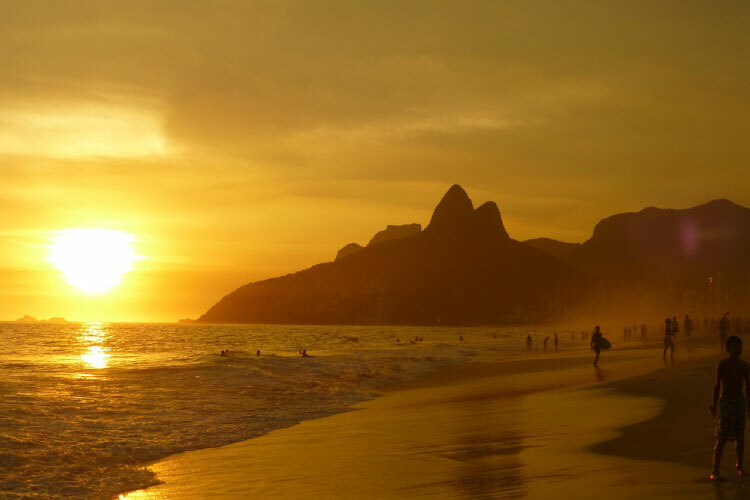 It’s all about soaking up the sun, sea and sand in this essential list of 10 of the world’s top beach destinations (in no particular order). Immortalized in the old Bossa Nova song, Girl from Ipanema, this is one of the most famous beaches in the world, and rightly so. 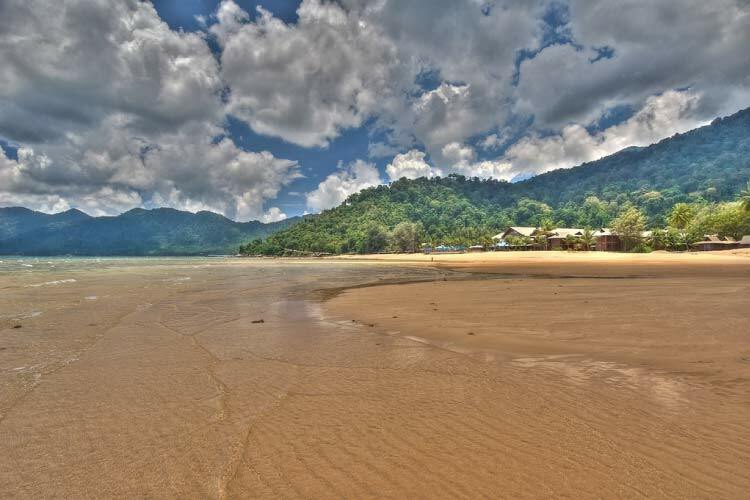 Relax on this beach and you will enjoy one heck of a view – and we’re not just talking about the bronzed beach bodies. 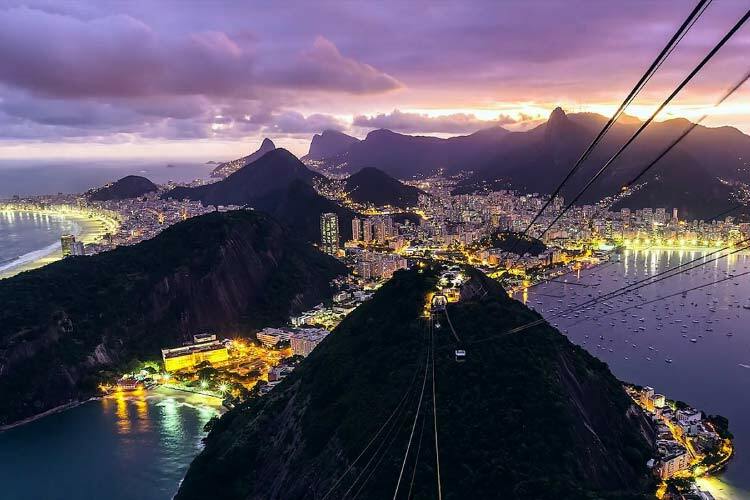 Brazil‘s spectacular city, Rio with its skyscrapers and green mountains, provides an enviable backdrop. Circling in the blue skies overhead you’ll spot birds of prey and helicopter tours offering visitors a bird’s eye view of this panoramic place. This beach feels like you discovered it for yourself. With pristine sand, calm waters and azure skies, head away from the crowds in the west to this quiet bay on Pulau Tioman’s east coast. Dotted with everything from five star honeymoon resorts to humble beach huts, it doesn’t feel commercialized – just your little piece of paradise. 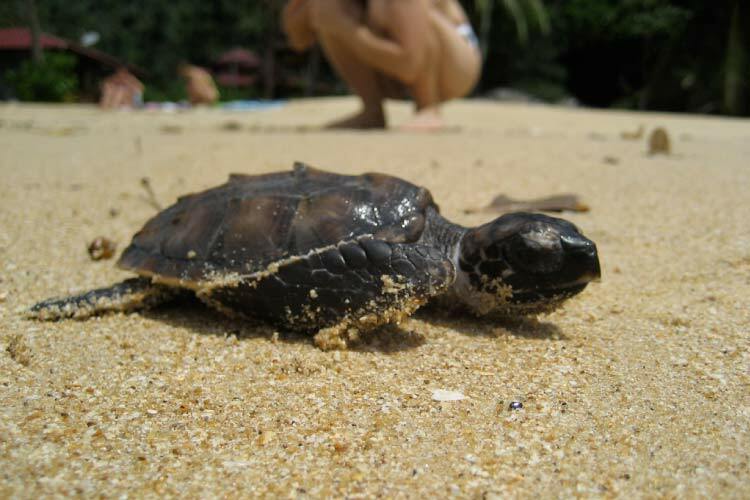 And if you’re really lucky you may see some newly hatched turtles being released into the sea from the nearby endangered turtle sanctuary. 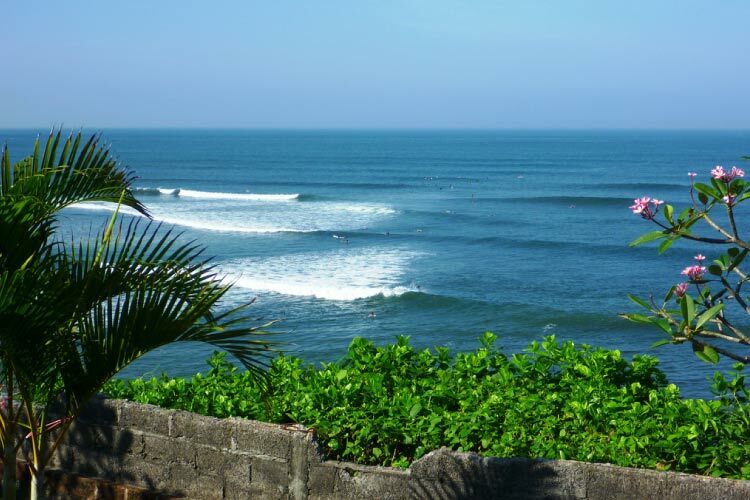 If you’re a fan of surfing, you will love this cool little seaside village on the west coast of Bali. Every day, you’ll see surfers and kite surfers tackling the powerful waves. There are also beachfront yoga classes. 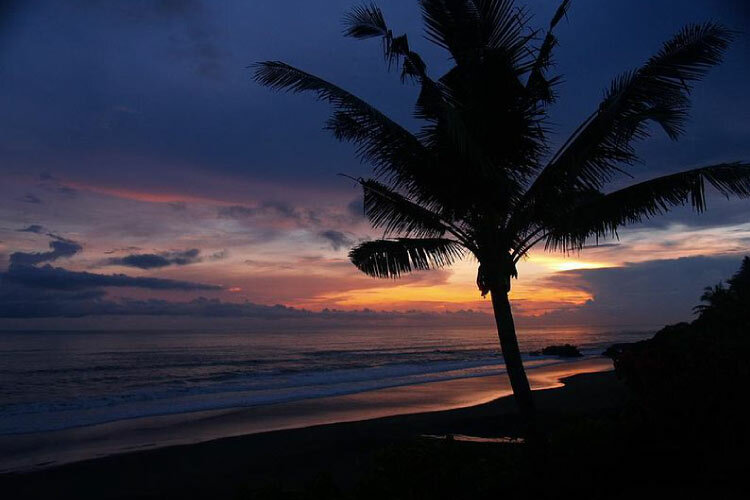 Take a walk along this wild stretch of beach, just a short drive north of Bali’s tourist-heavy Seminyak and Kuta, and take in the peaceful surroundings. Admire its craggy cliffs, collect the beautiful seashells and glance into its fascinating rock pools, teaming with little fish. Marine life lovers should also watch for streams running across the sand – here you may find millions of tiny embryonic crabs scuttling along on a journey of survival. 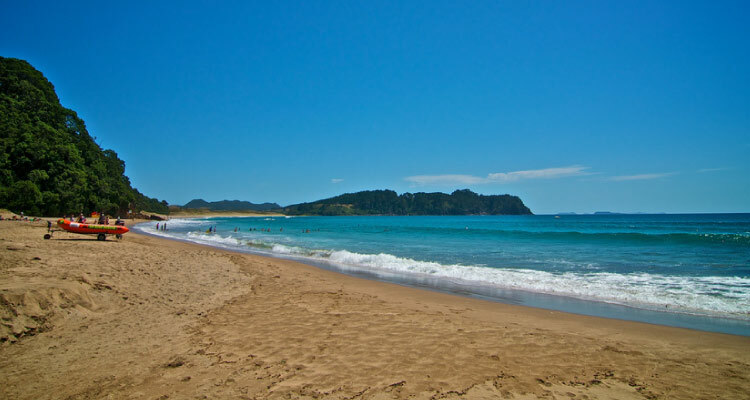 New Zealand’s beautiful Coromandel Peninsula is many people’s idea of the perfect beach break – both tourists and locals. With sub-tropical weather and stunning scenery, it is only a short journey from the vast city of Auckland, yet it feels a million miles away. It also boasts a remarkable geothermal area. Take a spade to Hot Water Beach, as digging into the wet sand here can tap into one of the hot springs lying a short distance beneath. With a little ingenuity you can create your own naturally-heated spa pool and melt into the steaming hot water. 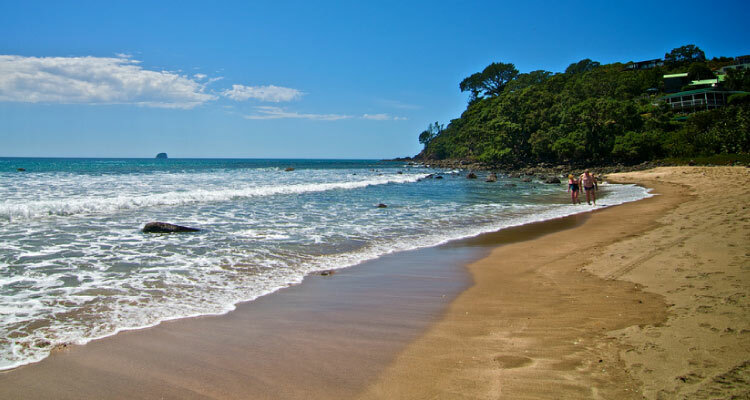 Wild dolphins are also known to swim close to this shore, solidifying this wonderful location as one of the top beach destinations in the world. 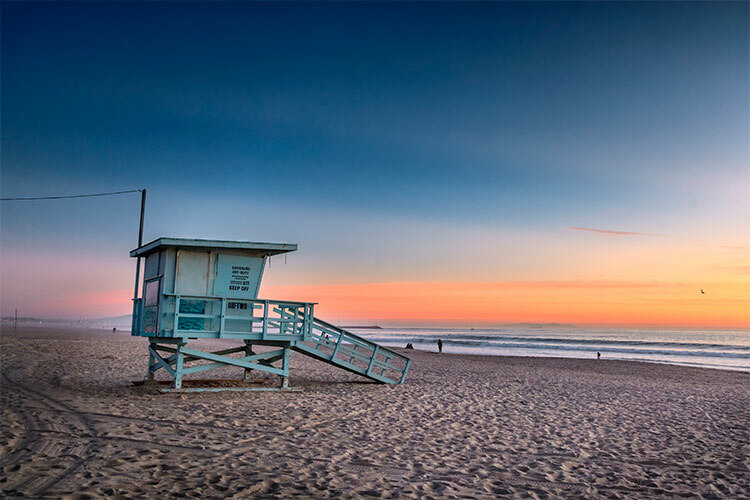 If you’re into street art and a street vibe, you will love California’s Venice Beach. Here you will find one of the coolest beaches on the planet. As well as the usual sunshine, sand and waves, there are basketball courts where you can spend all day watching the amateur players shoot hoops. Check out the artistic graffiti and soak up the achingly hip yet disarmingly laid back atmosphere. As you sit back and people watch, you may break into a sweat in the heat – though not as much as the basketball players. 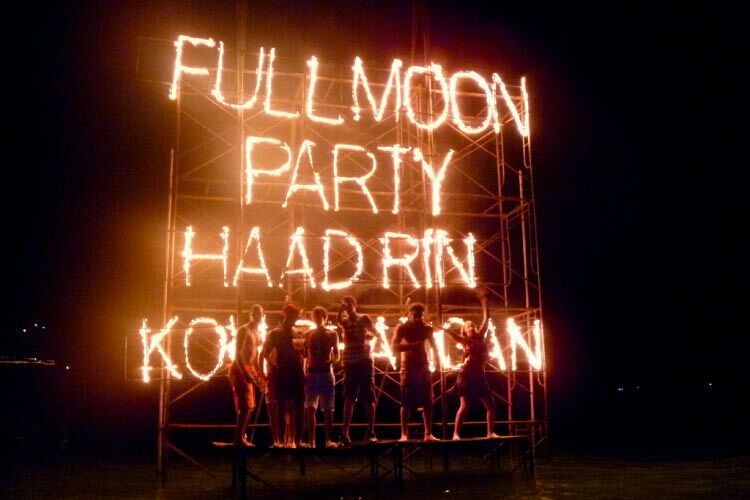 For the best after-dark party, you can’t fail to ignore the legendary Full Moon Parties of Thailand. 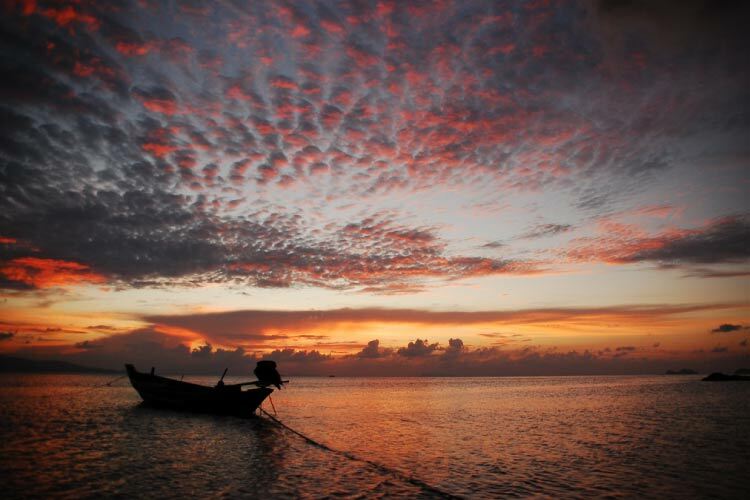 During the day, the beach – almost 1km long – has clean white sand, an array of beachfront bars and long tailed boats. Then, once a month, you’ll begin seeing the most enormous speakers you’ve ever seen, set up on the sand by the bar owners, and hordes of travellers arrive onto the island wearing Day-Glo vests. Dance to pumping tunes, buy a bucket of booze and check out the crazy stunts at the ultimate beach party. 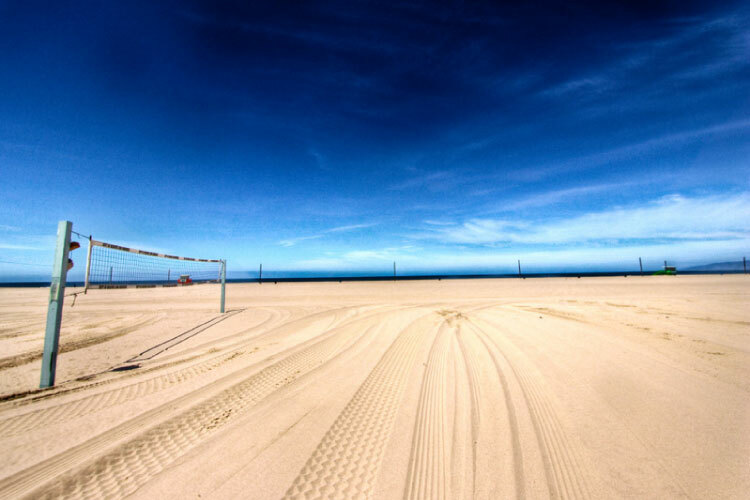 Afterwards the beach – unrecognizable last night – is transformed back to its chilled, spotless daytime look. You’d never know it had happened, except for the hangover you’re nursing of course. 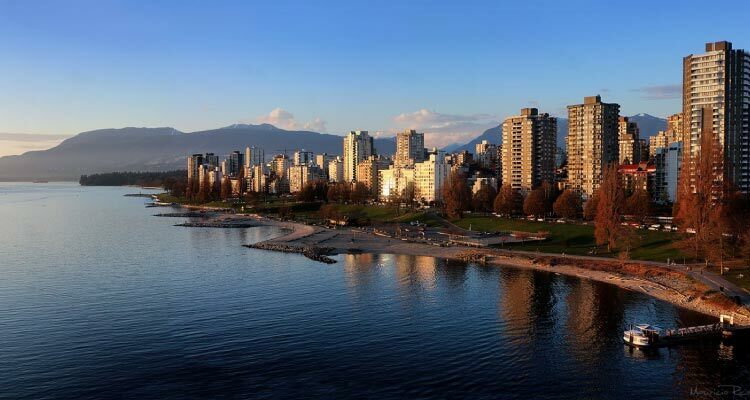 Canada isn’t known for its beaches, but in the eastern city of Vancouver, in British Columbia, you can lay back in the sunshine on some simply lovely sandy coastline. 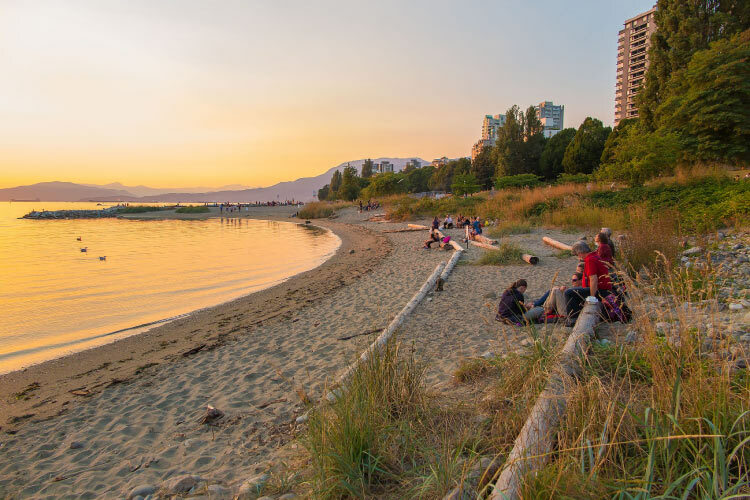 Vancouver enjoys warm summers, ideal for a languid day off at the beach. A visit to English Bay will afford you views across the city’s towering hotels, across to leafy Stanley Park and over the spacious bay where the boats pass by. 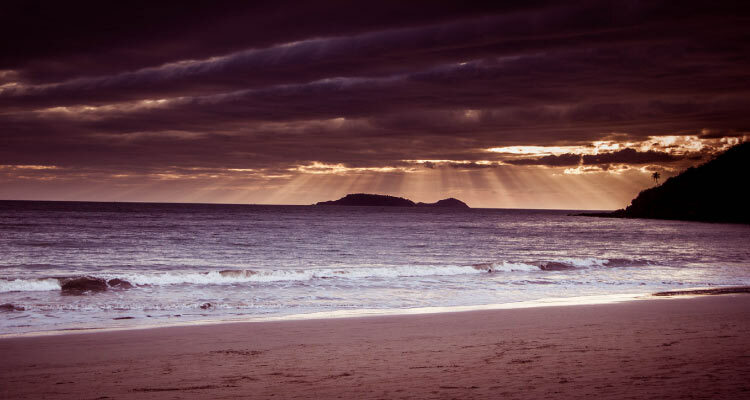 You may even see one of the city’s many community events, such as the unique charity fundraiser which invites people to run into the sea wearing black tie and ballgowns. Canadians definitely have a sense of humour. 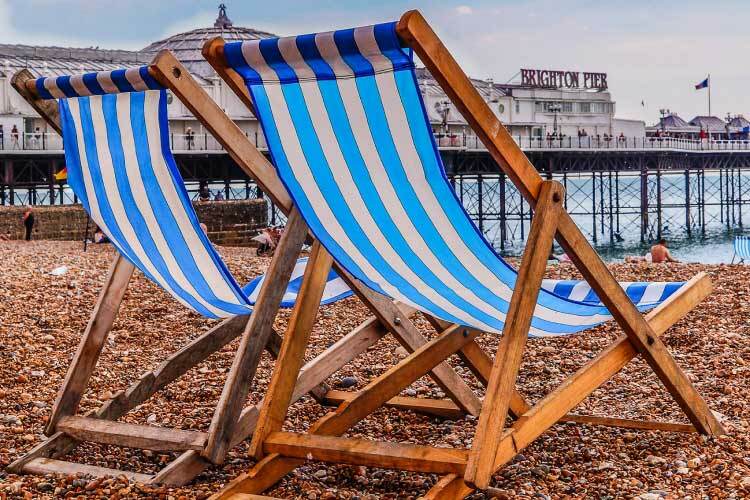 Great Britain isn’t often recognized as one of the top beach destinations, but Brighton is something special. No sand here, nor balmy warm sunshine most days of the year. But this seaside town boasts a cosmopolitan crowd and an array of colourful entertainment, vintage boutiques and lively clubs. This is London-by-the-Sea, a creative hub. Who knows who you may sit next to on the pebbles, as you tuck into your traditional British fish and chips? 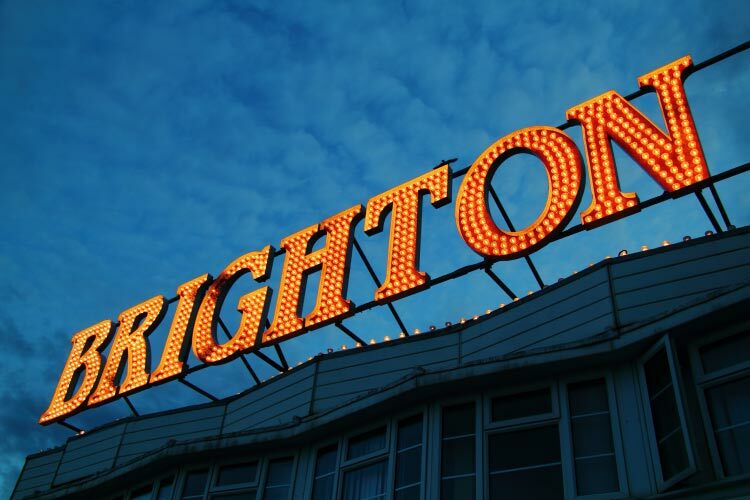 It’s true: Brighton rocks. Have you ever been on a beach that looks like a desert? 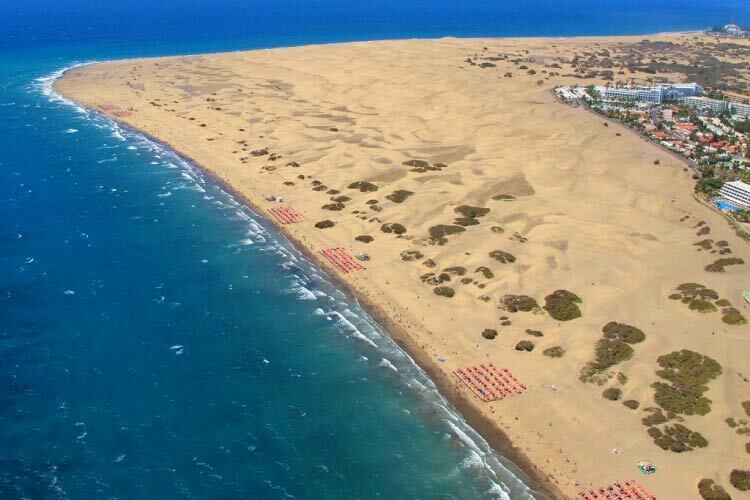 On the shoreline at Maspalomas, a southern resort on the island of Gran Canaria, you will find sand dunes reminiscent of the Sahara. 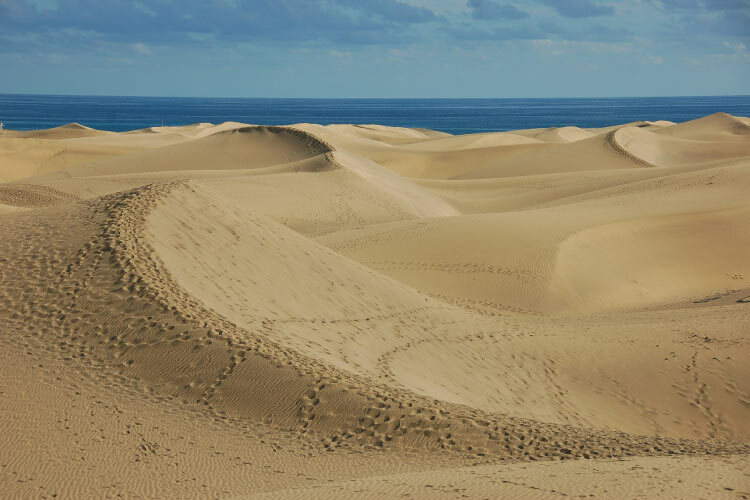 In fact, the Canary Islands are just a short hop from the west coast of Africa – one of the reasons this place enjoys a year-round pleasant climate. Hire a camel or a dune buggy and ride over these stunning peaks of sand, whipped into constantly-changing dunes by the winds coming off the ocean. You’ll feel like you’re on a desert safari, except the mirage of the sea is most definitely real. 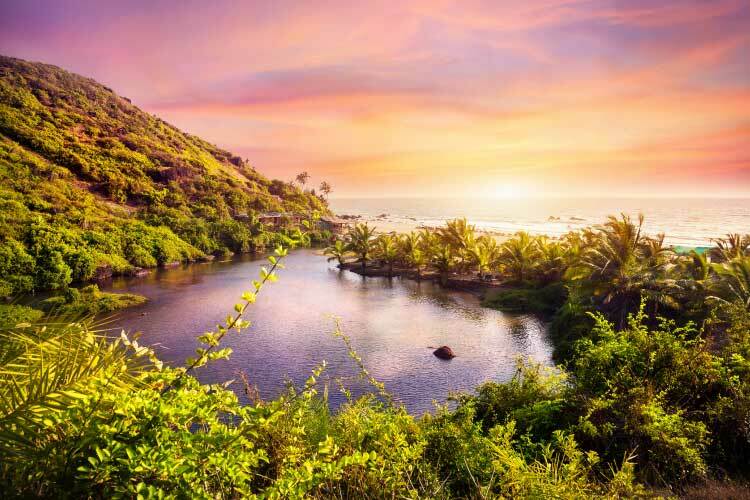 During the peak tourist months in the north Goan resort of Arambol, you will find an eclectic and free-spirited crowd of visitors and long-termers – and the occasional wandering cow. After a busy day of yoga, meditation and eating lazy lunches of deliciously spicy curries, everyone heads to the beach to watch the sunset. Soon you will hear drums as a group of musicians start to pound a communal, tribal beat. A crowd gathers around them, some piping up with instruments, some singing and some simply swaying to this hypnotic jam session. This beach party happens every day, without fail. Join the vibe and dance until the sun dips the last of its rays beneath the horizon.